Better online viewing. 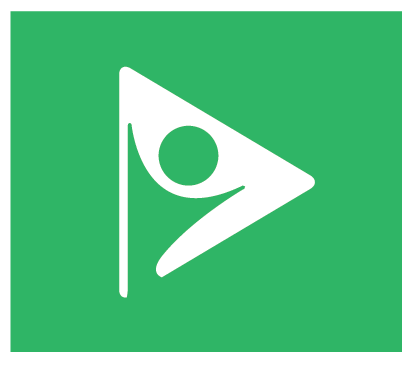 Better online tracking & reporting in Cablecast. This new version helps you step up your online video experience. 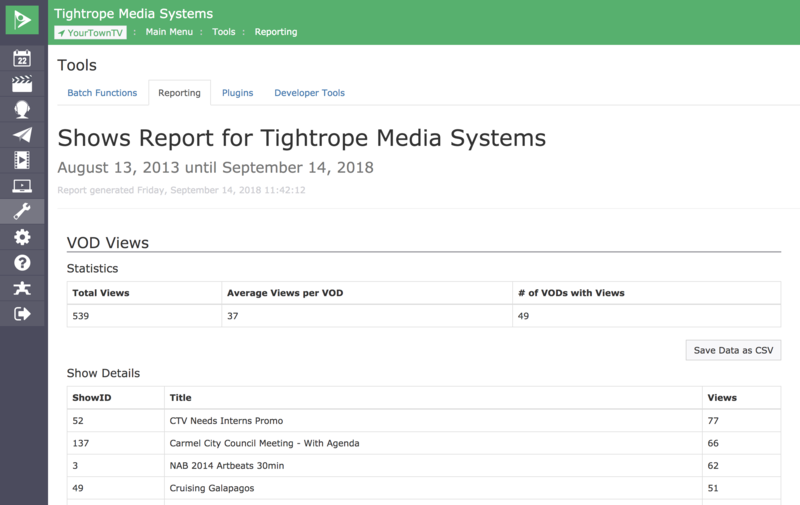 Now you can deliver full HD to web viewers and get more tools for reporting and tracking the way your audience interacts with your content online. With Adaptive Bitrate for Video on Demand, Cablecast can now detect information about the network your viewers are watching on and deliver the best version of your content based on each viewer’s connection speed and device. People with super fast connections can enjoy full 1080p HD video! We have once again expanded the robust collection of reporting tools in Cablecast to include VOD viewer metrics. Want to see which of your videos are getting the most views online? Head over to the Cablecast Reports to see the view counts of all your videos at a glance! 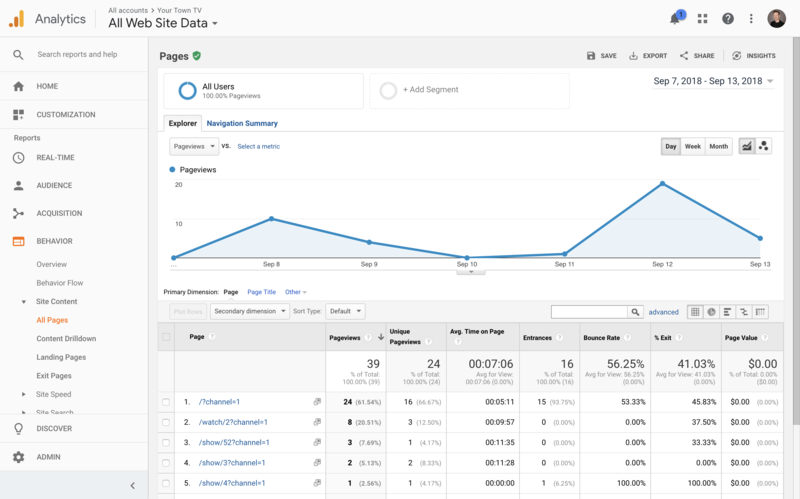 Cablecast now offers the ability to monitor traffic on your public site with google analytics. Get detailed information about the activity on your public site, like which pages are getting the most traffic, how long visitors stay on each page and more!